Easy & Organized?! Yes, Please!! We've all been there...your rushing and can't find the materials for the next lesson. Panic no more! This system is easy enough that your students can help you. 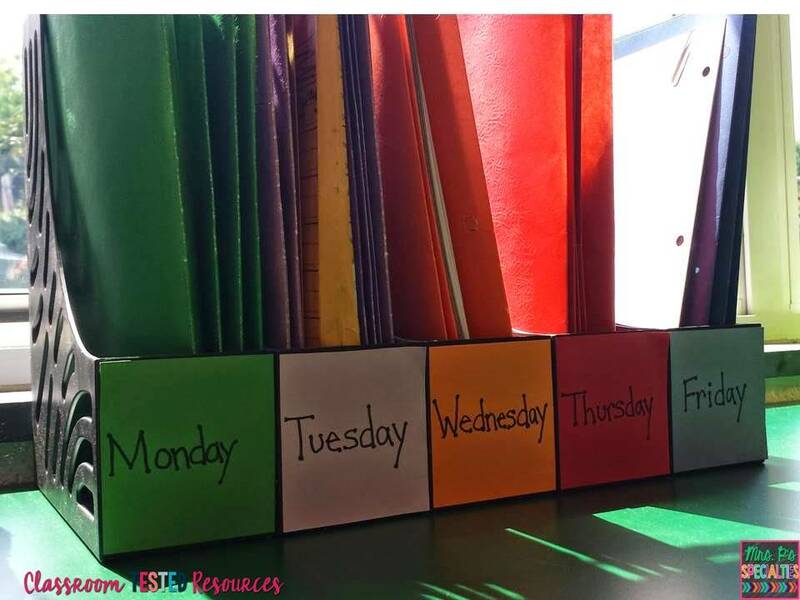 You will need 1 folder for each subject you teach in a day. For example, I teach 4 subjects that require materials on Monday. I have 1 green folder for each of the 4 subjects. Do this for Monday through Friday. Next, take all of the folders for one day and label them for the different subjects. Put them in a magazine holder and move on to the next day. It should only take 5 to 10 minutes and your system is done! 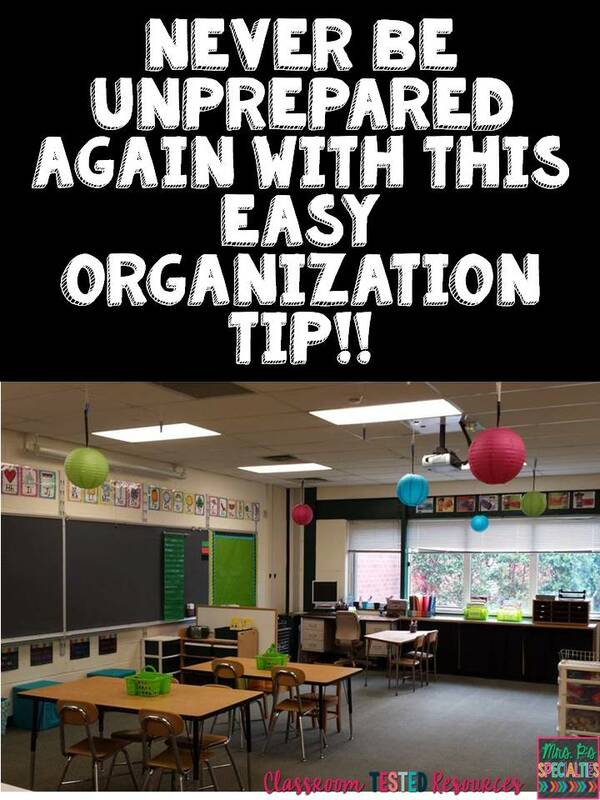 The only thing left to do is fill your folders with whatever materials you need for your daily lessons. I love being able to come back from the copier stick them in the correct folder and never have to worry about where I put them or materials getting lost on my desk. *Teach students how and where to file upcoming materials. *Students can be responsible for going and getting the materials for the next lesson or subject. Hope this system helps you stay sane during the hectic school year! I love this simple idea! I also love your room! So bright and clean...I'm still in school and am in the middle of plays and creations...it's a little messy! Thanks for this idea. Thanks Susan! Of course this picture was taken at the beginning of the year....a bit messier now! Great idea! I do the same thing for each of my groups. I like that the bins are actually labled, ha,ha. That is something I need to do! I've been teaching for 15 years and still hadn't found the solution to this problem until now! Thank you so very kindly!